Deal will see four additional data centres joining Iron Mountain portfolio. Iron Mountain has revealed another major acquisition as it looks to expand beyond its core records management business. 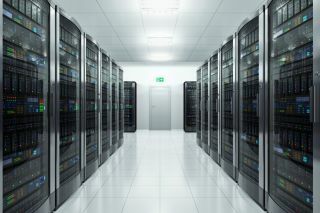 The digital and physical records management company has announced that it will acquire IO Data Centers' US data centre assets for $1.3 billion. The deal will see it acquire two state-of-the art data centres in Phoenix and Scottsdale, Arizona as well as two on the east coast in Edison, New Jersey and Columbus, Ohio. In total, Iron Mountain is purchasing 728,000 square feet of data centre real estate capable of housing 68 megawatts of capacity. The company noted that the facilities in Arizona and New Jersey could be expanded further to to add an additional capacity of 77 megawatts. Throughout this year, Iron Monuntain has been expanding its business to include a number of physical data centres and this acquisition is just the latest following its purchase of Fortrust data centre in September as well as two Credit Suisse data centres in London and Singapore. The deal is expected to close next month but it could potentially include a number of additional payments of up to $60 million.